Post-laminectomy syndrome refers to cervical, or lumbar, pain with an unknown cause that can persist despite attempting surgical intervention or that emerges following surgery. This condition is associated in particular with back surgery, which is also known as a laminectomy. Post-laminectomy syndrome is also frequently referred to as failed back surgery syndrome. The back is comprised of a complex network of bones, muscles, and other tissues that span from the neck to the pelvic bone. The spinal column is a bony structure that acts as the body’s support and protects the delicate spinal cord and associated nerve roots. The spinal column is positioned such that the individual bones of the spine, or the vertebrae, link together creating flexible support. Inside of this column the spinal cord descends down from the brain. In a typical adult, the spinal cord reaches to just below the rib cage. The lamina are shingle-like plates of bone that arch over the nerves of the spinal cord to add an additional layer of protection. They are shorter than the vertebrae and have soft tissue called ligamentum flavum in between them that acts as a cushion. Thus, during a laminectomy procedure, the lamina are removed. Additionally, any bone spurs are removed. The goal of this surgery is to relieve pressure on the spinal nerves, which is caused by various conditions of the spine. 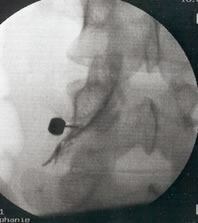 In post-laminectomy syndrome, the pain experienced following surgery may be similar to the pain felt prior to surgery. Similarly, the pain can be classified as achy and dull or sharp and stabbing. The pain can be accompanied by sensitivities, heat, and sensations of pressure. In general, specific symptom clusters will vary from patient to patient. Existing literature on post-laminectomy syndrome is varied. It is not known what causes back pain to persist following surgery. In general, it is believed that the formation of scar tissue after surgery can compress nerve roots within the surrounding area, and this is what likely explains the persistent pain. Given that the underlying cause of post-laminectomy syndrome is generally unknown, the condition can be quite difficult to treat. It is best to discuss your condition with your physician so as to determine the best available pain management treatment plan. 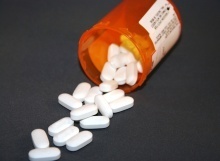 Over-the-counter pain relievers may be beneficial in providing relief from pain. A non-steroidal anti-inflammatory drug (NSAID) is believed to help patients who are experiencing moderate pain. These medications are recommended because of their ability to reduce inflammation and thereby reduce the associated pain. There are a number of medications that were originally developed to alleviate symptoms of depression that have also been shown to be effective for relieving pain. Oral corticosteroids, such as prednisone and cortisone, may also be recommended to reduce pain and inflammation of the affected area. Individuals, whose pain does not respond to over-the-counter remedies, may wish to speak to their doctor about prescribing codeine to help manage their pain. Codeine is an opioid medication whose pain-relieving effects arise by binding to the opioid receptors within the brain. Studies have provided support for the use of opioids in short-term relief of sudden-onset, severe pain; however, concerns related to the misuse and abuse of this medication suggest that long-term use of opioids for managing pain is contraindicated. Patients with chronic and severe back pain that persists following a failed surgery may wish to try more aggressive forms of pain management. For instance, epidural steroid injections have been shown to be successful in providing patients with significant reductions in pain. Further, TENS units, which are devices that deliver a very mild electrical stimulation to the affected area, have also received some support for their usefulness in providing pain relief. Additionally, there is some indication that patients can experience a significant reduction in pain with spinal cord stimulation. This procedure involves implanting a device near the spinal column that delivers electrical impulses to control the transmission of pain signals from the nerves within the spine. Post-laminectomy syndrome is a relatively rare pain condition that results from a failed back surgery, or laminectomy. More specifically, patients experience ongoing pain following surgery or even new pain that emerges following surgery. 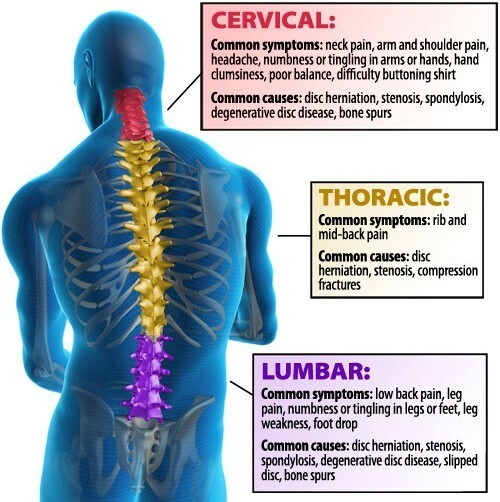 The specific symptom cluster is unique to the patient and may even closely resemble the pain cluster prior to surgery. A number of treatment options are available for managing the symptoms of pain, and patients are encouraged to speak with their physician about the course of their condition in order to determine the treatment plan that is right for them. Atluri SL, Bowman RC, Deer TR, Swicegood JR, Staats PS, Smith HS, Burton AW, Kloth DS, Giordano J, Manchikanti L. Interventional techniques: Evidence-based practice guidelines in the management of chronic spinal pain. American Society of I Pain Physicians. Pain Physician. 2007;10(1):7-111. Cohen SP, Bicket MC, Jamison D, Wilkinson I, Rathmell JP. Epidural steroids: A comprehensive, evidence-based review. Reg Anesth Pain Med. 2013;38(3):175-200. Epter RS, Helm S, Hayek SM, Benyamin RM, Smith HS, Abdi S. Systematic review of percutaneous adhesiolysis and management of chronic low back pain in post lumbar surgery syndrome. Pain Physician. 2009;12(2):361-78. Parr AT, Manchikanti L, Harmeed H, Conn A, Manchikanti KN, Benyamin RM, Diwan S, Singh V, Abdi S. Caudal epidural injections in the management of chronic low back pain: A systematic appraisal of the literature. Pain Physician. 2012;15(3):E159-98. Shipton EA. Low back pain and the post-laminectomy pain syndrome. S Afr Med J. 1989;76(1):20-3. Teixeira MJ, Yeng LT, Garcia OG, Fonoff ET, Paiva WS, Araujo JO. Failed back surgery pain syndrome: Therapeutic approach descriptive study in 56 patients. Rev Assoc Med Bras. 2011;57(3):282-7. Thomson S. Failed back surgery syndrome: Definition, epidemiology, and demographics. Brit J Pain. 2013;7(1):56-59.